Lego models aren’t often constructed in primary colours these days. However a quick look back through our Review Library reveals that once-upon-a-time primary colours were very much in vogue. Due mostly to the fact that other hues were not available, but still. Today’s find takes us back to the era of crayon-coloured Lego models, being this glorious primary-coloured Mack Superliner 6×6 RC by Flickr’s spongebrickpl, and it makes us think that basic colouring is due a resurgence! This gorgeous classic Mack F700 in Dutch ‘Overdorp’ livery comes from Legorigs of Flickr. Exquisite detail is in abundance and you can see the image in full-size by clicking on the link above. They did each deserve a meal actually, as each Elf found a lovely and beautifully built Town style truck by Flickr’s Peter Schmid, who has uploaded his latest four models in one go. 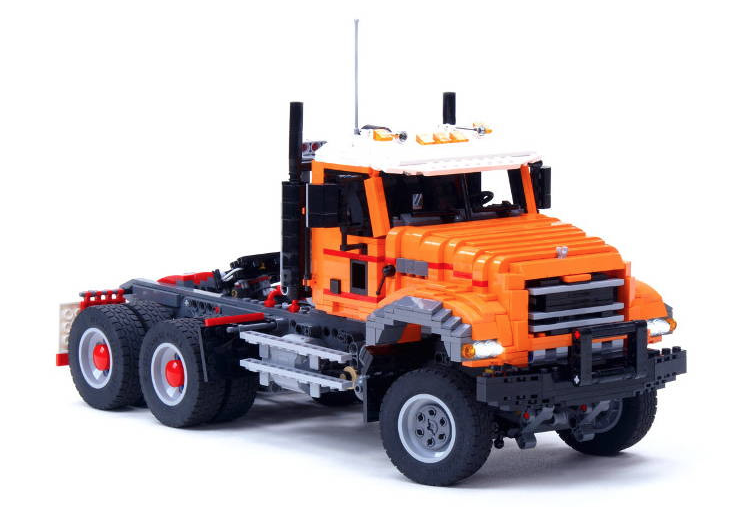 From top to bottom are; a Peterbilt Classic rig, a Volvo twin-trailer truck (in Nexo Knights livery), a Mack four-axel dump truck and a huge Volvo sleeper cab semi, each in mini-figure scale and all brilliantly detailed. You can see each build in full-size images via Peter’s Flickr photostream here, where a variety of other vehicles, both digital and real, are available to view. Click on the link above to visit Peter’s photostream and to check out more of each build. This beautiful Mack B75 was discovered by one of our Elves on Flickr. It’s been built by DB_Kit Fisto and it is – as you can see here – a rather lovely thing to behold. It’s not just a static display piece either, as underneath there’s a full remote control drivetrain, working suspension, and LED headlights. You can see more at Kit’s photostream via the link. Legendary hot rod creator and Hot Wheels design consultant Tom Daniel built some amazing vehicles during his illustrious career. 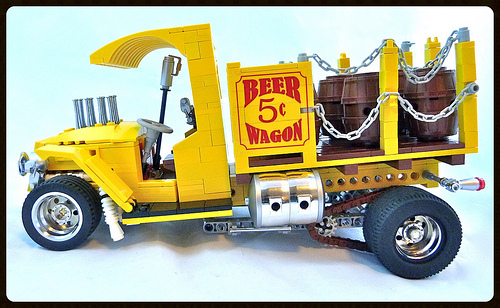 This superb Lego recreation of his iconic hot rod the ‘Beer Wagon’ comes from legendary Lego car creator and LUGNuts curator Lino Martins, and it’s his second entry into TLCB Summer Building Competition. 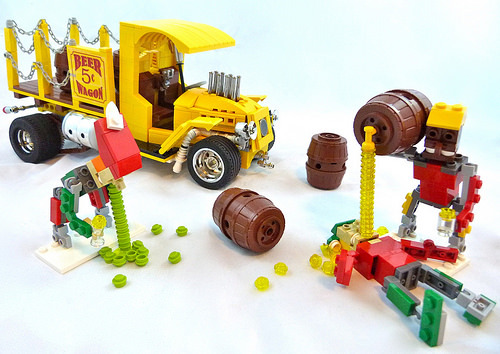 Featuring a slew of chromed pieces, bright yellow paint and a monster engine Lino’s Beer Wagon has scored a barrel-load of points in the competition. He earned himself a few bonus points too – having read a potted history of Elven illness, Lino captured the moment a few of our Elves discovered the beer in the back of the truck. Things did not end well, and we have a feeling that the office airhorn may be even more effective than usual today. You can see more of the Lino’s Beer Wagon and its effect on TLCB Elves by clicking here, and you can read the full competition details, prizes up for grabs and scoring criteria by clicking this link to TLCB Summer Building Competition page. A few weeks ago one of our Elves discovered a creation on Brickshelf built in a style we thought we recognised. After posting the model here the builder got in touch to confirm they were indeed who we thought they were, and that they had returned. Chris Melby might have been away for while, but he’s back with bang! 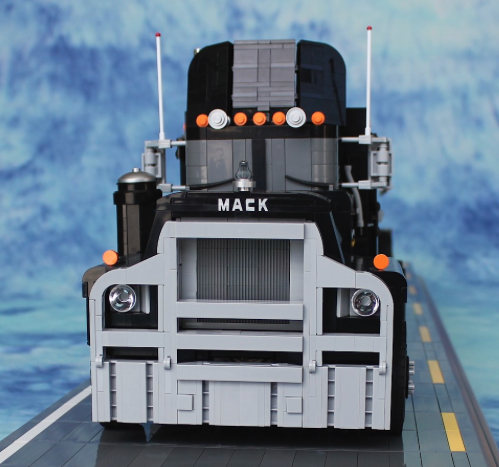 Chris then sent us images of his finished Mack RL700L truck ‘Rubber Duck’ from the movie Convoy, and it’s these that we can exclusively share with you today. 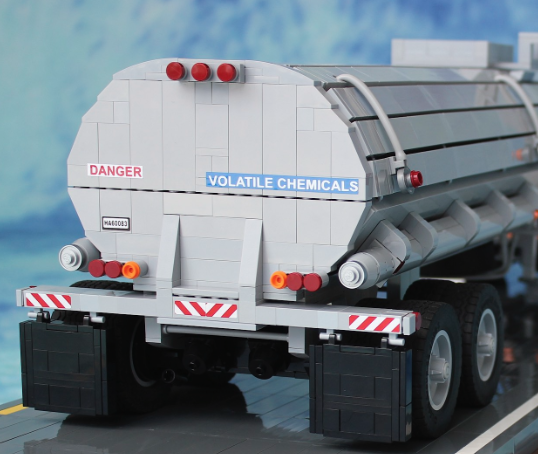 Measuring over 50 inches long and containing over 8,500 bricks, Chris’ Mack with tanker trailer is one the largest trucks of the year so far. You can see all the imagery, and read the details of the RL700L ‘Rubber Duck’ build, by visiting Chris’ excellent new website zmasterbrick.com. Many thanks to Chris for providing us with the photos for this publication. A peaceful morning in TLCB Towers was shattered today by the sound of something heavy and metallic hitting something soft and fleshy. The two objects in question turned out to be a desk lamp and an Elf, which was itself armed with a stolen hole-punch for defence-by-body-piercing. With the two combatants separated, one of which was sporting a newly (and no doubt unwanted) pierced ear, we could investigate the cause of the ruckus. Two Model Team style trucks, both remotely controlled by Power Functions, and both discovered on the image-sharing site Flickr. Luckily for the two aforementioned Elves both creations are worthy of appearing here, and so each of them has earned a meal token, making the lamp vs. hole punch fight somewhat necessary. Anyway, the models! First up (above) is previous bloggee Ingmar Spijkoven‘s Mack Granite truck, with RC drive and steering, solid axel suspension and a working fifth wheel. Click on Ingmar’s name to see more of his mighty Mack. The second of today’s trucks (below) comes from another previous bloggee from Flickr, Marek Mankiewicz aka M_longer. Marek has reconstructed a superb replica of MAN’s TGS 8×4 dump truck, and he’s added a drawbar trailer for good measure too. There’s lots more to see at the link above. N.B. We often get asked for instructions here at TLCB. Usually the answer is a No, however both of today’s builders have made instructions available for their respective models. To access these building steps simply click on the links above! 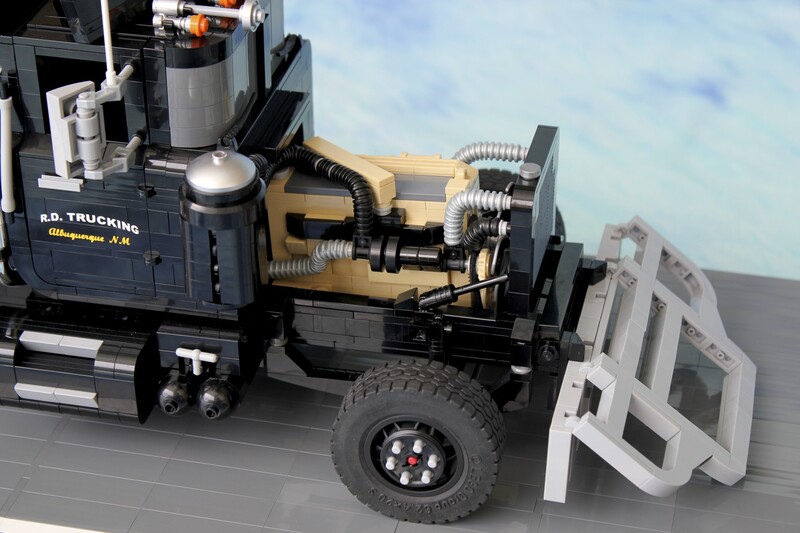 This beautiful Model Team recreation of the Mack RL700L ‘Rubber Duck’ from the 1978 movie ‘Convoy’ was discovered on Brickshelf today. There’s only one photo at the moment – and we have a feeling that we’ve seen this builder before somewhere*. 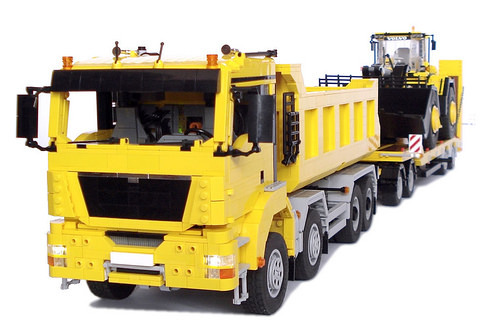 zmasterbrick is the mysterious creator and you can see their Mack in full-size by clicking the source link above. *Answers in the comments if you know! It does make for a clever title though. Another day, another Lego creation found, and another pleased Elf gets a fed. Today’s returnee discovered this lovely looking Australian Mack container truck over on Flickr. Built by Jedd aka trapjaw! it’s full of neat details that make it look quite a lot bigger than it really is. You can see them all via Jedd’s gallery at the link above.